Mrs. Grippo is thanked for her donation. 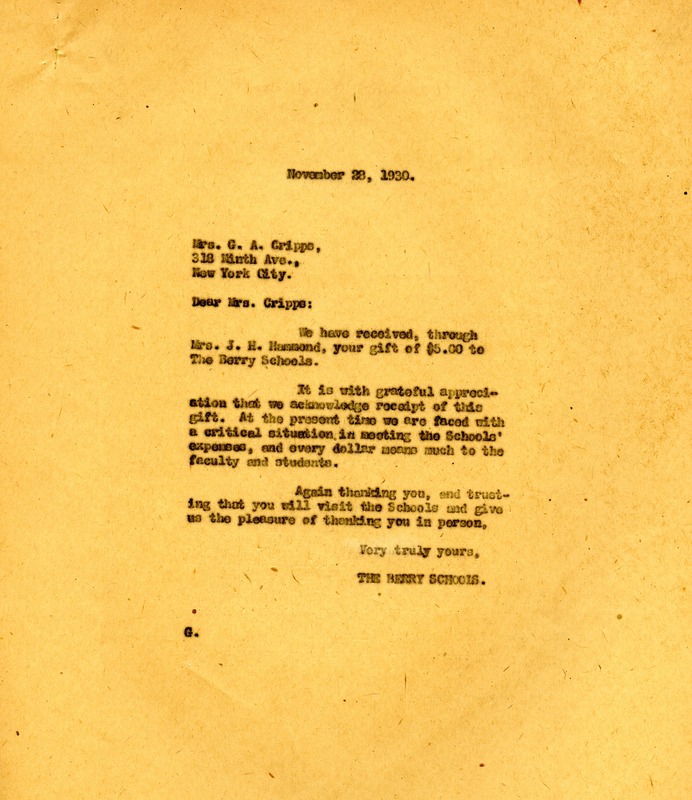 The Berry Schools, “Letter from The Berry Schools to Mrs. Grippo.” Martha Berry Digital Archive. Eds. Schlitz, Stephanie A., Amanda Mays, Meg Ratliff, Angela McCavera, et al. Mount Berry: Berry College, 2013. accessed April 20, 2019, https://mbda.berry.edu/items/show/12234.